Lieutenants Fuentes, left, and Cobos, right, present Lieutenant Ron Harmon with a shadow box commemorating 38 years of public service. 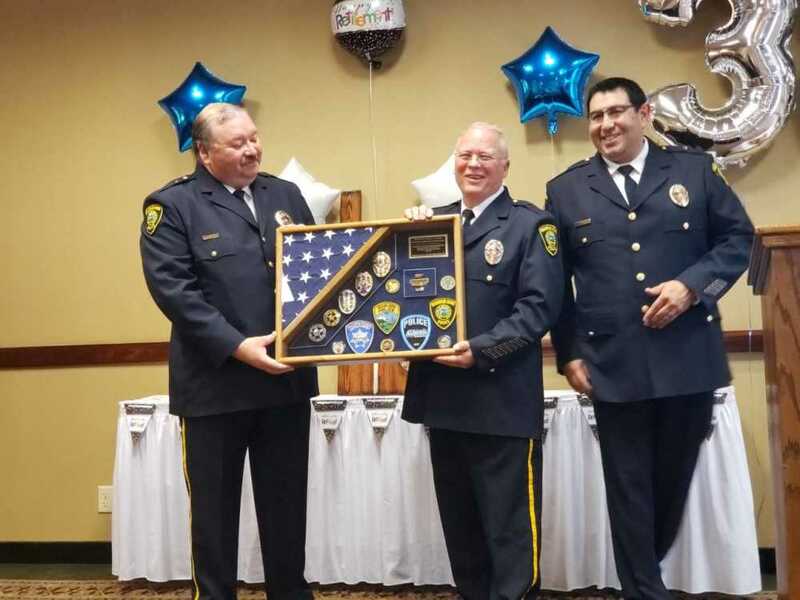 After 38 years in law enforcement, eleven years with the Mountain Home Police Department, Lieutenant Ron Harmon decided it was time to retire. Lieutenant Harmon began working in Mountain Home in 2008. He retired from his old position with the Tacoma Police Department on a Friday and was in MHPD uniform the following Monday. Harmon began is career in Mountain Home as an officer, but with all of his experience and knowledge he quickly rose up the ranks to Lieutenant.